Get outdoors at Bondi Beach and The Opera House to the Botanic Gardens Walk. Let the collections at Australian National Maritime Museum and Art Gallery of New South Wales capture your imagination. 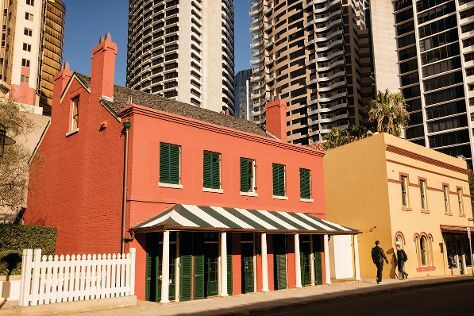 There's still lots to do: take a stroll through The Rocks, take in nature's colorful creations at Royal Botanic Garden Sydney, see the interesting displays at Hyde Park Barracks Museum, and see a show at Sydney Opera House. To see traveler tips, other places to visit, and more tourist information, go to the Sydney trip planner . Rome, Italy to Sydney is an approximately 24-hour flight. You can also do a combination of flight and train; or do a combination of flight and bus. The time zone changes from Central European Time to Australian Eastern Standard Time (New South Wales), which is usually a 9 hour difference. Expect a bit cooler temperatures when traveling from Rome in June; daily highs in Sydney reach 21°C and lows reach 11°C. On the 13th (Thu), you'll travel to Brisbane. Do some cultural sightseeing at Queensland Museum & Sciencentre and Opal Museum. Museum-lovers will appreciate Queensland Art Gallery and Gallery of Modern Art. There's lots more to do: look for all kinds of wild species at Lone Pine Koala Sanctuary, try out the rides at Wheel of Brisbane, contemplate in the serene atmosphere at Old St Stephen's Catholic Church (Pugin Chapel), and let the kids burn off some steam at South Bank Parklands. 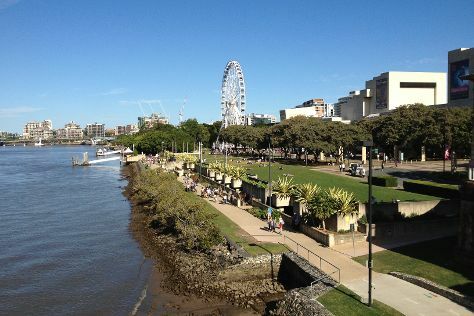 Inspirock's itinerary builder makes planning a Brisbane trip simple and quick. Getting from Sydney to Brisbane by flight takes about 4 hours. Other options: do a combination of flight and bus; or drive. Expect a daytime high around 24°C in June, and nighttime lows around 13°C. Cap off your sightseeing on the 16th (Sun) early enough to travel to Cairns. Escape the urban bustle at Safaris and Nature & Wildlife Tours. Venture out of the city with trips to Palm Cove (Palm Cove Beach & Hartley's Crocodile Adventures) and Wildlife Habitat Port Douglas (in Port Douglas). It doesn't end there: tour the pleasant surroundings at Esplanade Boardwalk and learn about all things military at The Australian Armour & Artillery Museum. To see more things to do, where to stay, traveler tips, and other tourist information, refer to the Cairns itinerary planning website . You can fly from Brisbane to Cairns in 5.5 hours. Alternatively, you can do a combination of bus and flight; or drive. In June, Cairns is a bit warmer than Brisbane - with highs of 30°C and lows of 22°C. Finish up your sightseeing early on the 20th (Thu) so you can travel to Alice Springs. Get some cultural insight at Hermannsburg Historic Precinct and Araluen Cultural Precinct. 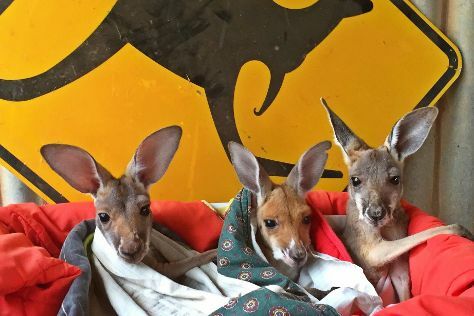 Get in touch with nature at The Kangaroo Sanctuary and Ormiston Gorge. There's still lots to do: identify plant and animal life at Alice Springs Desert Park, take an in-depth tour of National Pioneer Women's Hall of Fame & Old Alice Springs Gaol, steep yourself in history at Alice Springs Telegraph Station Historical Reserve, and take some stellar pictures from Anzac Hill. To see traveler tips, where to stay, other places to visit, and tourist information, read Alice Springs trip builder site . You can fly from Cairns to Alice Springs in 4.5 hours. Alternatively, you can drive; or take a bus. While traveling from Cairns, expect a bit cooler days and cooler nights in Alice Springs, ranging from highs of 23°C to lows of 5°C. Finish your sightseeing early on the 24th (Mon) to allow enough time to travel to Darwin. Get some cultural insight at Museum & Art Gallery of the Northern Territory and RFDS Darwin Tourist Facility. 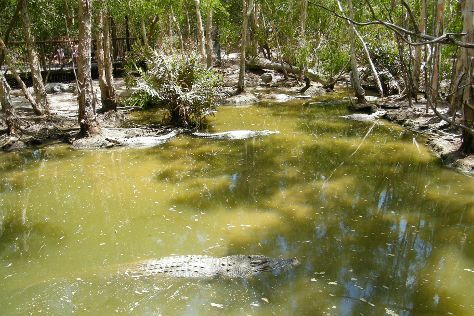 Visiting Nature & Wildlife Tours and Crocosaurus Cove will get you outdoors. It doesn't end there: tour the pleasant surroundings at Mindil Beach and examine the collection at Defence of Darwin Experience. Plan trip to Darwin with our itinerary maker to find out where to go and what to do. Fly from Alice Springs to Darwin in 5.5 hours. Alternatively, you can drive; or take a bus. Traveling from Alice Springs in June, expect nights in Darwin to be much hotter, around 24°C, while days are somewhat warmer, around 36°C. Wrap up your sightseeing on the 27th (Thu) to allow time to travel back home.